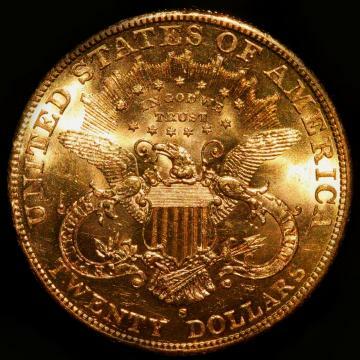 Description: 1901-S Liberty 20 Dollars Gold (Double Eagle). Grading Comments: AU-58 - Only the slightest friction on the highest points. Virtually full luster. Less than 10% of the surface area will show luster breaks. There is the slightest wear on the high points, even though it may be necessary to tilt the coin towards the light source to see the friction. Unless a grading services such as Professional Coin Grading Service (PCGS) or Numismatic Guaranty Corporation (NGC) is stated in the auction description as the source of an items grading, GoodLife Auctions uses its own good faith, contemporary grading standards and interpretations to grade stamps, coins and currency. Please note all grades are subjective and buyer should make their own visual inspection and determination about the accuracy of grading. 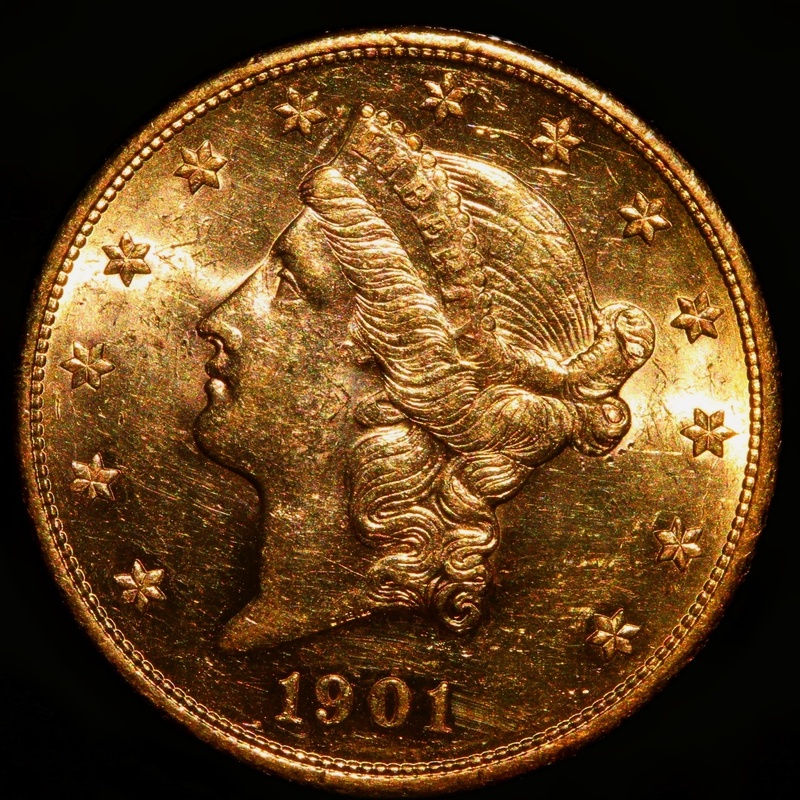 See our Auction Terms of Sale for more information regarding grading - no returns are accepted for ungraded coins or grading inaccuracies.